In another rendition of “Look how much farther ahead of us the U.K. is,” Tesco, the world’s third-largest retailer, will no longer sell items containing cotton from Uzbekistan. The reason? Forced child labor. According to this article from the Environmental Justice Foundation, tens of thousands of Uzbek children are withdrawn from school to pick the cotton that funds President Karimov’s government. Tesco is also starting to track the carbon footprint of 30 of its private-label products, using a draft standard developed by the Carbon Trust, in an effort to provide labels that will better inform consumers about the CO2 outputs of different items. If you’re interested and free on Nov. 10 or 11, email her at aprilinafrica@yahoo.com. Choose a two-hour time slot between 10 a.m. and 6 p.m., and indicate your race, gender, and approximate age. Saturday’s shoot takes place in Oakland; Sunday’s is in San Francisco. Wear a white T-shirt. I’d heard of blood diamonds before, but I’d never given much thought to the ethics of the wider jewelry industry until the other day, when a friend told me about a local shop that’s working to further the cause of nonexploitative jewelry. Lori Bonn Design, in Oakland, Calif., has spearheaded an effort to develop an industry-wide standard for ethically made jewelry called Clear Conscience. It’s a multiyear process involving lots of meetings at industry conferences, Lori Bonn co-owner Bill Gallagher told me, and it sounds like it may be a couple of years before anything final is hammered out. But it’s something to look forward to. “Consumers want to know that they didn’t harm the environment or people with this pretty thing they’re wearing,” Gallagher said. What does that harm look like, and how does it take place? One biggie is the extraction of the metals used in jewelry. You can read all about the horrors of acid leaching, air pollution, and the exploitation of indigenous peoples associated with mining on the No Dirty Gold campaign’s website. Another good source of information is Ethical Metalsmiths, which works to stimulate demand for responsibly sourced materials. Then there are the gemstones. The Kimberly Process was designed to address concerns about blood diamonds, but it doesn’t cover other gems. “We buy from apparently honest, ethical people, but there’s a whole progression of things before the stones get to the dealers that we don’t know about, and until there’s a standard, there’s no independent way to know,” Gallagher said. He added that “there are beginning to be sources of gemstones whose path can be verified,” such as Columbia Gem House, which Lori Bonn is starting to use as a source for its offerings. One thing is clear: momentum for responsible jewelry is building. Twenty-six companies, including Tiffany & Co. and Wal-Mart, have signed on to No Dirty Gold’s Golden Rules protocol. 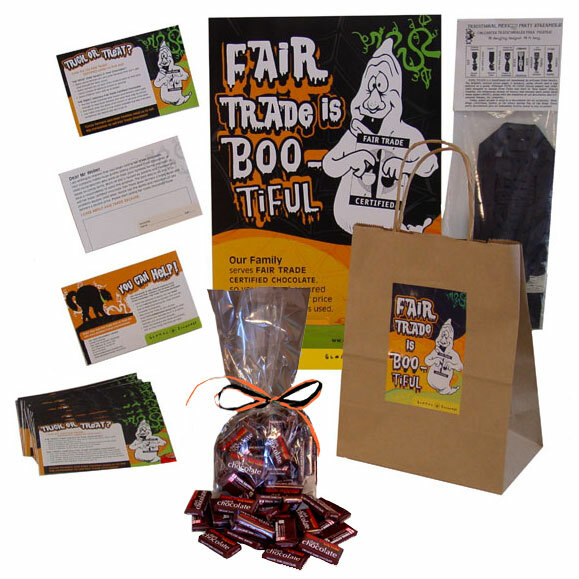 The Fair Trade Jewelry blog hums with news. And last year saw the creation of the Madison Dialogue, an initiative for businesses and interested parties to encourage verified sources of responsible metals and gems. Next month the Madison Dialogue will hold the Ethical Jewelry Summit in Washington, D.C. Perhaps the Clear Conscience program will gain some traction there. It’s only a matter of time before ethical jewelry hits the mainstream. Already, retailers like Brilliant Earth are responding to demand for conflict-free diamonds and renewed metals. That’s great, but I look forward to the day when consumers can depend on a recognizable label or logo to assure us that, whether it’s a diamond engagement ring or a pair of casual earrings that we’re after, we can have a clear conscience about buying it.